Rise to the occasion! 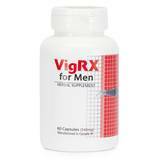 A capsule that gives men the confidence when they need it most, without the need for a daily pill. Gives you the energy to perform again and again with little or no recovery time. A fast-acting all-natural herbal supplement, Rize 2 will stay in your system for 24-36 hours, giving you the energy and confidence to overcome performance anxiety. Works even if you've had an alcoholic drink. Take 1 capsule approximate 30 minutes prior to sexual activity. Contains all-natural ingredients including Peruvian Ginseng, Eurycoma Iongfolia Jack, Arginine, Rhidola and other natural roots and herbs. Potency warning: do not take more than 1 capsule in a 24-hour period. Do not use if you take other medication. Do not use if you have heart symptoms or high blood pressure. Consult your doctor if you are unsure that Rize2 is for you.